Take your one cup of Amish Friendship Bread starter and turn it into chocolatey-mint goodness (and just in time for Halloween, too). Who says kids are the only ones who get to have all the fun? One of the best things about Amish Friendship Bread starter is not only how versatile it is, but how easy it is to work with. We took our basic cookie recipe and added 1 cup chocolate chips and a couple handfuls of Junior Mints. We also swapped out chocolate pudding for vanilla pudding. 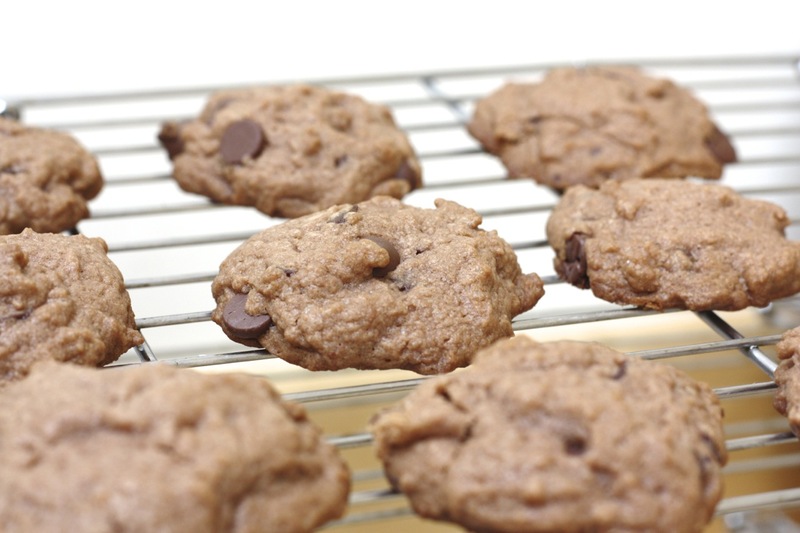 This recipe yields a lot of cookies (you could seriously bake for the neighborhood–we did) but it’s easy to halve it if you want. You’ll smash the Junior Mints once you put them in the batter and mix them in so you get that minty goodness everywhere. Leave a few larger chunks here and there if you want to get a Junior Mint surprise with every other bite. Stir in rest of ingredients, adding chocolate chips and Junior Mints last. Smash the Junior Mints with a fork or back of a spoon before mixing in. 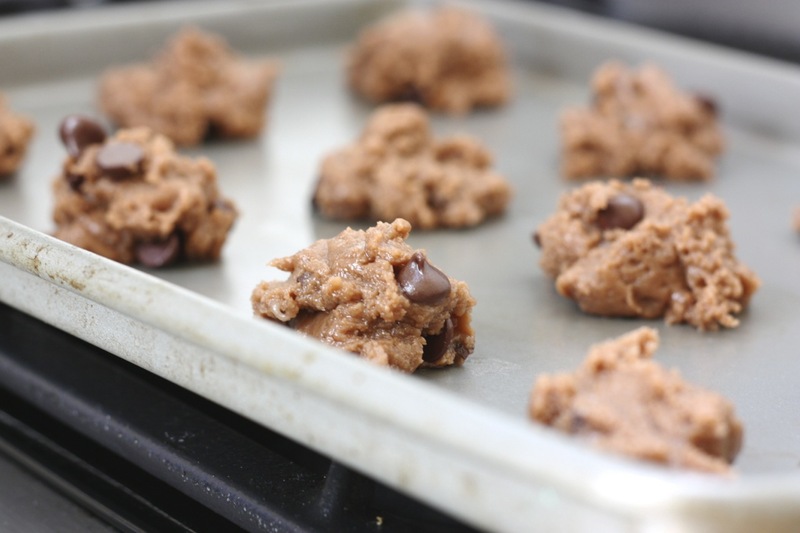 Drop tablespoon-sized dough onto an ungreased baking sheet. Bake 12 to 14 minutes. I personally have not noticed a whole lot of difference between chilling my cookie dough before baking, but some people swear by it. If you’re curious to try, chill the dough in the fridge for 24-36 hours prior to baking. They’re supposed to have a mellower taste and set up nicely (holding their shape instead of spreading all over the place), but if you’re like me, once you’ve started mixing you gotta see it through and have one within the hour. I’ve tried it both ways and I don’t notice enough of a difference to make it worth the wait. It was bad enough we had to wait 10 days to bake, right? 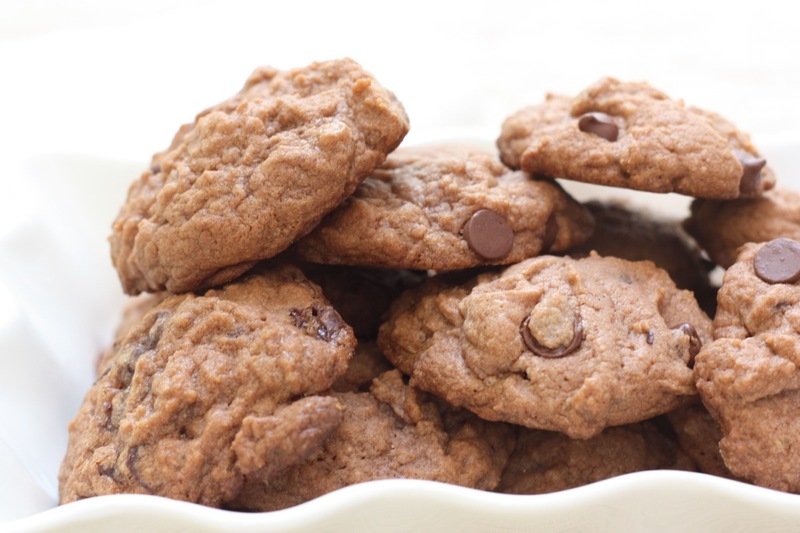 One of the best things about this recipe is the cookie yield is huge, so it’s easy to share. I split the cookies into four batches. I kept one batch for my family, gave a batch to two sets of friends, and brought a batch to share at the potluck for my memoir writing class. There were a few cookies left over but one of my students took them home for her husband who’s a mint chocolate nut. The result? Happy writers, happy husbands. Oh my , chocolate mint heaven . Add to my list of must try soon . Kids will love this 1. I love how chocolatey these are, with just a hint of peppermint. We store them in the fridge in a Ziplock and they stay cool and chewy!